Tibet’s most famous woman writer and blogger has been questioned by police for eight hours, accused of taking photographs on the street, after she returned home briefly to the capital, Lhasa. 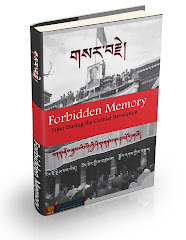 The detention of Woeser, who like many Tibetans goes by a single name, underscores the nervousness of the authorities in the Himalayan city, where Tibetans restive under Beijing rule rioted in the streets in March, killing 22 people and setting fire to hundreds of offices and businesses. She was held for questioning by several officers who said that they were acting on a tip-off from a member of the public, who had seen her taking photographs of army and police positions in Lhasa from inside a taxi. Mr Wang, who spoke on behalf of his wife because he was worried for her safety, told The Times: “She told them that it was not illegal to take photographs in a public place and she had not visited any secret areas or military installations. They had no legal basis for holding her.” The police searched her mother’s home and removed several documents as well as Mr Wang’s computer. They hacked his password, checked all documents on the laptop and required Woeser to erase every photograph that showed a policeman or army officer on the streets of Lhasa or in Tibetan areas they had visited. The couple decided to return home to Beijing as soon as they could get flights, but first organised a reunion party with Woeser’s many family and friends in the city. However, many did not attend, apparently afraid of possible consequences after her encounter with the police. The couple flew back to Beijing on Saturday, less than 48 hours after her summons and six days into a planned month-long visit to Lhasa. Woeser has become one of the best-known Tibetan personalities, first as a poet whose works were approved by the Government and then as a dissident author after her first book of prose was banned in 2003. She has since not been allowed to publish in China, but the restrictions have failed to deter her. She was forced to place the blog that she began in 2005 on a server outside China after it was repeatedly hacked and closed. 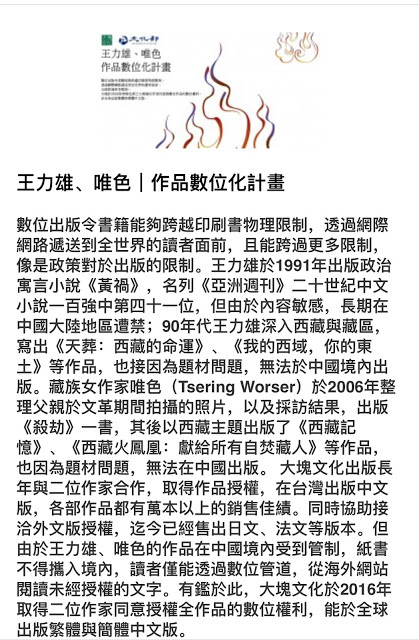 Her current blog — woeser.middle-way.net — is the most popular site for many Tibetans and has recorded three million hits since she launched it on an overseas server early last year. The Tibetan capital remains under lockdown. The city is patrolled by police and paramilitary forces, many deployed around the Jokhang Temple, the holiest shrine in Tibetan Buddhism in the heart of the Old City. On the pilgrim route that circles the temple, at least four teams of paramilitary police are on guard around the clock. Each comprises five men carrying automatic rifles who patrol a section of the route. Buddhist faithful twirling prayer wheels, telling rosaries and performing prostrations wend their way among the armed men. Some of the teams, dressed in camouflage, have recently been replaced by patrols carrying what appear to be teargas launchers in tubes on their backs. Paramilitary officers stand at bus stops, while police borad buses at each stop to check for anyone suspicious. Armed police in camouflage, some helmeted, others carrying riot shields and electric batons, are deployed at road junctions. They stand in groups, facing out to scan the street. Once night falls, lorries filled with paramilitaries drive through the streets at barely more than a walking pace. These patrols and the police presence are limited almost entirely to the Old City. In the newer areas of Lhasa, where most ethnic Han Chinese live, there is little sign of increased security. Bhoe Mi-Rhik la Rangzen gokpo yung washok! I really appreciate if any Tibetan here can explain how Tibetans view the issues that I listed above. 愿意汉藏两族用此话共勉，after all, we are alike. This scare tactic was often used by Malay political party UMNO in Malaysia to threaten Malaysian Han Chinese for voting opposition. When China or Tibet is going to democratic system, it is the end of Chinese communist party ruling in China who had hijacked human rights of all Chinese people. From a Malaysian Han Chinese who support Tibetan people.